water temperature rises bass will move to the warmer water. 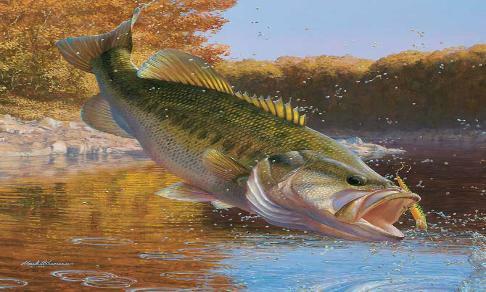 bait imitates crayfish very well, which is a favorite food for bass in the spring of the year. anglers believe that the rattling sound imitates fighting crayfish underwater. Is this true? varying the speed of your retrieve as you go. keep your bait near the bottom as much as you can. and a natural instinct to defend - hungry or not. strikes are sometimes a small bump in the line.